Still head down, desperately working (and don’t ask about the gianduja consumption or the amount of proper caffeinated coffee I’m drinking: I’m overdoing it on both counts). 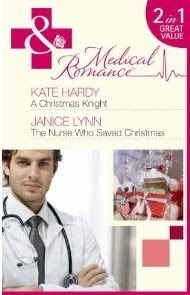 So instead of talking, today, I’m leaving you a picture: this is my first new-style cover for Medical Romance, in a 2-in-1 with my mate Janice Lynn. A Christmas Knight is out in December (sorry, that might be a wee bit obvious from the title!). Call to UK authors (as per Society of Authors email) – please visit ALCS and sign their petition about PLR (if you’re not UK-based, the proposed cuts don’t affect you, so please ignore). Cheers! 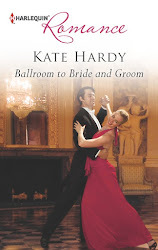 New cover looks simply gorgeous, Kate. Thought of you last week when myself and the other half were trawling around Dorset museum, half of which was dedicated to Thomas Hardy. 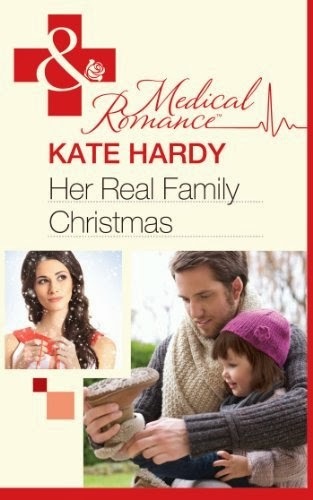 It was amazing and I even discovered he had a little sister called Kate. Don't know if you've ever been there, but if you haven't, then it's worth a trip. Dorchester is gorgeous, full of history and old buildings and all things writerly. Oh, wow! I love the new cover. Jane - thanks, and hope that your lurgy has improved hugely. Carol - good luck with the deadline. Caroline - thanks, and I hope so too as it's on my ed's desk!